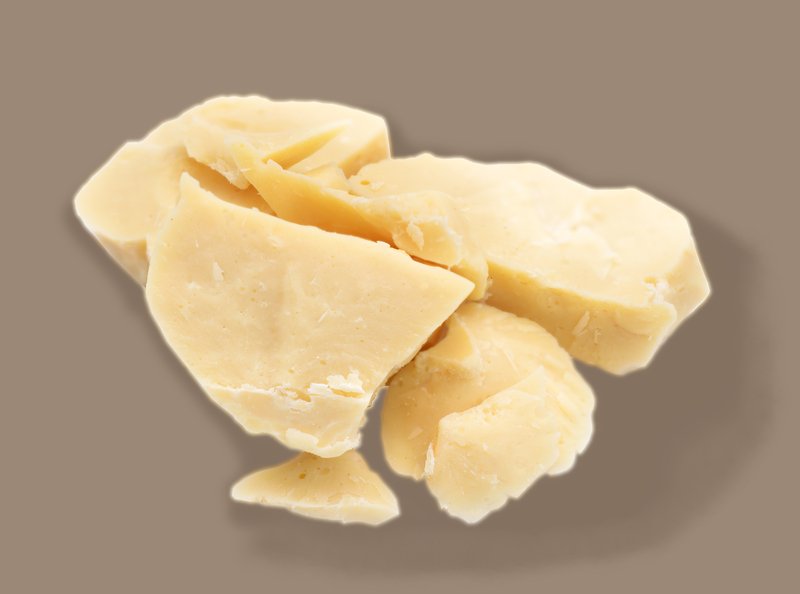 Cocoa Butter naturally contains essential fatty acids that are beneficial to the skin. Cocoa Butter may be used in a variety of cosmetic, toiletry and pharmaceutical applications to reduce cutaneous dryness and improve skin elasticity. All Natural Source: Cocoa Butter naturally contains essential fatty acids that are beneficial to the skin. 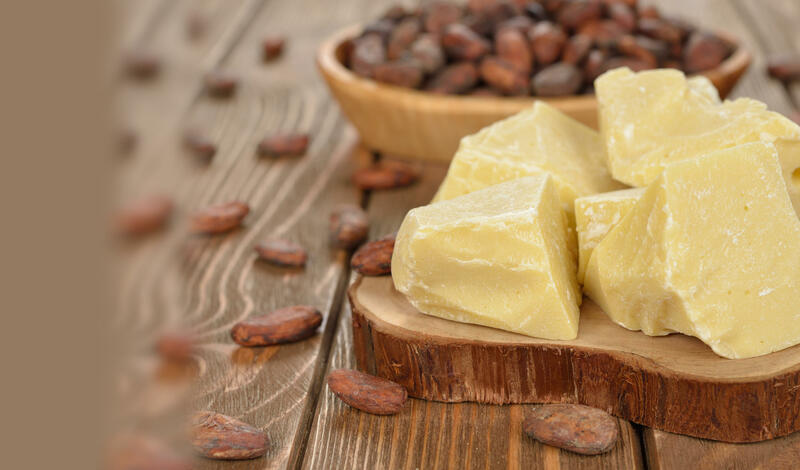 Cocoa Butter may be used in a variety of cosmetic, toiletry and pharmaceutical applications to reduce cutaneous dryness and improve skin elasticity. Cocoa was named Theobroma by Linnaeus, meaning 'food of the gods', due to the goodness of its seeds. The genuine Cocoa tree is a small and handsome evergreen tree that grows in South America and the West Indies from 12 to 25 feet high and branching at the top. The butter is extracted from the seed kernels and is further refined and deodorized to yield an off white colored butter with little odor. This is a relatively hard butter with a steep melting curve ideal for body care products.